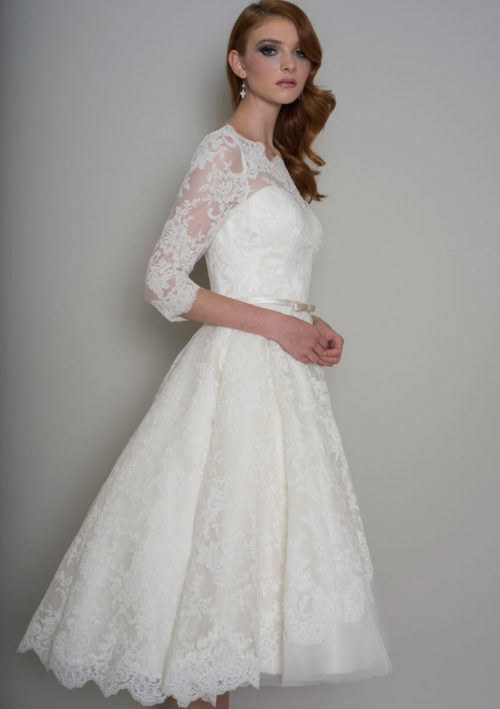 This is a striking choice for your special day, with it’s romantic neckline, striking lace and glamorous silhouette. 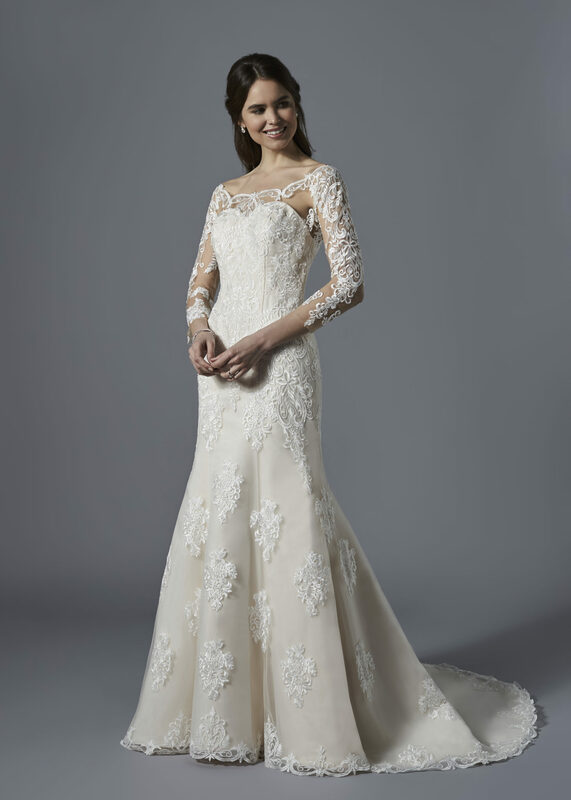 A sophisticated mermaid style with an illusion lace off the shoulder neckline, illusion lace sleeves, a sweetheart bodice, lace motifs and finished with an illusion lace back. Photographed in Ivory / Champagne. Available in Ivory / Champagne or All Ivory. Zip back and buttons.